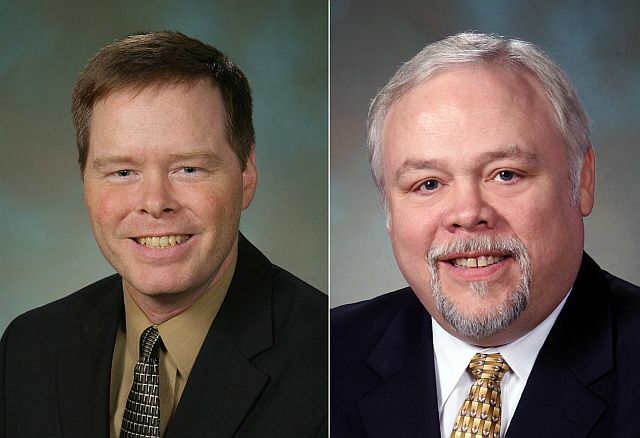 There is little doubt how the Washington State Democrats have pinned all hopes on former 17th Legislative District Representative Tim Probst to steal the State Senate seat held by Republican State Senator Don Benton for the past 16 years in order to retain the destructive majority that has led our state into such economic gloom we still see. Clark County, where a large portion of the 17th district exists remains in its 4th straight year of double digit unemployment while these same deceiving Democrats continue to push for higher taxes and enabling more people to depend on welfare & food stamps. We have focused on false and misleading claims by Tim Probst and PACs pouring hundreds of thousands of dollars into attack ads designed to make the voters believe Don Benton is the worst person ever born, while trying to make Tim Probst appear like a sweet little angel. He isn’t. In fact, he is far from it. Don’t let the boyish face and smirk fool you. In just the past couple of days, voters in the 17th have been deluged with well funded attack ads from the Washington Sate Democrats, the WEA and another from the Democrat Senate caucus and the unions thru a front group, Strong economy for the 17th district. Much of these originate from a Seattle based, well connected pro-Democrat political strategy company, ARGO Strategies, revealed through reports found on the Public Disclosure Commission website and posted at Where Did Tim Probst’s Pledge of a “Clean Campaign” go? Adding to the plethora of negative attacks ads emanating from the Probst campaign and on his behalf from leftist front groups shown HERE, HERE, HERE and HERE, real issues affecting Southwest Washington are placed on the back burner, just as the $1.5 Billion budget gap was ignored in favor of homosexual marriage, supported by Tim Probst while leftist attack groups continue throwing out exaggerated claims and sometimes, outright lies against Senator Benton. The latest one again makes the claim that Senator Benton is taking millions of taxpayer dollars and leaving you to think Probst is a sweet little angel working for free with his carefully manicured façade of fiscal conservatism by voting no on bills it is known will easily pass with the destructive Democrat majority in Olympia. As said, Probst supported placing a severe budget gap on the back burner while homosexual marriage took precedence over the welfare of the state economy this last session. It was Senator Benton struggling to keep the legislatures eyes on the state budget, not Tim Probst in his House seat. When first elected to the open seat in House back in 2008, Tim Probst was CEO of the Washington Workforce Association. He now claims to be the “former CEO,” but after being elected, set about writing and getting passed a series of bills to direct state tax dollars in “matching funds” to such companies that he just happened to be CEO of, receiving accolades for one such bill from the Columbian, Dig Deep, Parents. Left out of the article is whether or not at least some of the millions in our dwindling tax dollars for “matching funds” found its way into the coffers of the very company Tim Probst was CEO of or how such a “fiscally conservative” person as Probst would even push for more tax dollars being spent while taxpayers struggle to make ends meet. Besides the fact that it is well known these so-called ‘Green Jobs’ cost 2 jobs for every one created, we once again see resources directed towards “workforce education and training” at a time he was CEO of Washington Workforce Association Inc.
Can we also ignore that while Probst is a big supporter of so called “Green Energy,” no less than 36 “Green” Company Failures have been documented? During the same time period Probst was directing tax dollars around that he claims to oppose the spending of, it was Senator Benton fighting against the destructive majority of Democrats, the very party Probst votes to keep in leadership in the majority, to make meaningful cost cutting and taxes fair and reasonable across the board for everybody. But Probst received the accolades while Senator Benton was demonized for standing up on your behalf. Probst would have you believe he is more conservative and fought harder for you than Don Benton ever did and that simply is not true. Just as he distances himself from the filthy attacks issued on his behalf, he wraps himself in a carefully manicured façade, claiming largely to oppose his own party’s agenda. Others who deviate from the party platform, Jon Haugen, Jim Kastama, Rodney Tom and Tim Sheldon are frequently castigated and demeaned for actually looking out for taxpayers. Probst, alleging even more opposition than either of the above, is embraced and sees hundreds of thousands of dollars spent on vile attack ads on his behalf. Obviously, the façade slips away when you think about it. Another attack on Senator Benton appears in the Columbian, Education advocate finds campaign sign misleading where a Lisa Henry, “former co-chair of the Battle Ground-based Citizens for Better Schools,” a teachers union supportive group, takes great umbrage because Senator Benton dares post a sign indicating he has the support of teachers. Left out of the rant by Henry is endorsements for Probst are not the actual teachers, although no doubt some support him too, but is an endorsement by the very powerful and greedy teachers union leaders that maintain a strict stranglehold on our schools and education in the state, once causing State schools to lose $13.2 million math and science grant over union laws because the teachers union could not control the private grant money. Two schools here in Clark County were slated to receive a portion of that grant, but lost out by those unions Probst supports and depends on threw a tantrum. Don’t let yourself be fooled. Tim Probst is a snake in the grass out for himself and power. He hides behind a carefully manicured façade while Senator Benton has been standing up for you against Probst’s party for 16 years. Probst will only keep that destructive Democrat majority in Olympia that we have seen for over a decade now in control. The democratian and those working for it are leftist scum. What can you expect from them? We have to get the background personal agenda stuff out there Lew. Thanks for writing about it.